The below is from Bret Stephens of the New York Times, August 11, 2018. I reprint it here because it states the issues clearly and more accurately than many of the responses to the original bill. The nation-state bill needs to be improved and adjusted in a few areas but it is not a narrow minded document dripping with nationalism and anti-democratic sentiments. Anyone who follows the news from Israel knows that the Knesset last month passed legislation that takes the Jewish state a step closer to apartheid and outright theocracy. For instance, the bill explicitly authorizes Jewish-only communities and requires secular courts to adopt Jewish ritual law in certain cases. It also promotes the settlements. Actually, the nation-state bill, as the legislation is known, does none of that. Nearly all of its most controversial provisions were stripped from it before passage. But you’d be forgiven for assuming otherwise based on the reaction to the bill — reaction that is far more revealing than the bill itself. If you’re shrugging at most of this, you should: The bill’s purpose was to codify into Israel’s Basic Laws — akin to a constitution — aspects of Israeli identity long taken for granted by Israelis and outsiders alike. The bill has some more controversial features. It gives Arabic — the native language of roughly one-in-five Israeli citizens — “special status” as a language, which has no practical effect but is a demotion from the official status it enjoyed since the days of the British mandate. It contains language that might impede efforts to foster greater Jewish religious pluralism in Israel, including egalitarian prayer spaces at the Western Wall. It also places a “national value” on the “development of Jewish settlement,” which means towns and communities in general but sounds like — and by no means excludes — West Bank settlements. And it notably fails to mention the word “equality,” which has a prominent place in Israel’s Declaration of Independence. What the bill is not is the death of Israel’s democracy — it was enacted democratically and can be overturned the same way. It is not the death of Israeli civil liberties — still guaranteed under the 1992 Basic Law on Human Dignity and Liberty and visibly reaffirmed by the large public protests following the bill’s enactment. And it is not apartheid — a cheap slur from people whose grasp of the sinister mechanics of apartheid is as thin as their understanding of the complexities of Israeli politics. Whatever else you think of Israel’s nation-state bill, this is undoubtedly worse. So where are the calls to boycott, divest and sanction Denmark? Which raises a deeper question concerning the nation-state bill: Why the over-the-top reaction? In an interview with Haaretz, British philanthropist Vivien Duffield, who has given hundreds of millions of dollars to Israeli causes over the years, declared “I hate Israel” after the bill’s passage, then reached for the apartheid analogy. Shoddy reporting about the bill from some of the usual suspects furnishes at least part of the answer. Ordinary liberal distaste for a conservative Israeli government furnishes another part. And there are plenty of good reasons even for Israel’s friends to dislike the bill as unnecessary, provocative, divisive and a transparent bid by Netanyahu to shore up his popularity in the face of corruption allegations and a military quagmire in the Gaza Strip. But if liberal Americans haven’t (yet) given up on the United States in the age of Donald Trump, liberal Jews shouldn’t be giving up on Israel on account of an overhyped, underwhelming law whose effects would be mostly invisible if they hadn’t been so loudly debated. Countries we love will inevitably do things we don’t like or fail to understand. The same goes for people. However else you feel about the nation-state bill, reserve your serious outrage for the things that deserve it. An estimated 542 Syrian civilians were tortured to death last month by the Syrian regime, according to the Syrian Network For Human Rights. Did you know that? The below is an interview with the newest media darling Alexandria Ocasio-Cortez. She describes herself as a socialist, which is unfortunate because it just about guarantees an election loss, and seems to have little more than random vocabulary to describe her socialism and international relations. She is not sufficiently prepared and in many places was confused or stuck with a jumble of generalities that she could not untangle. Although I resonate with much of her politics, I will not support someone so “unprepared.” Hit the books Alexandria! People often refer to the Israeli-Palestinian conflict as a “war over God.” It’s easy for the casual observer to assume that the conflict is defined by Judaism or Islam. My response is always that it is not a war over God, but a conflict over land and national rights. But I always add that religion is “implicated” in the conflict. The Israelis and Palestinians are not arguing directly about God but religion hovers in the background and very often informs attitudes and beliefs. Moreover, religion has contributed to cultural differences that have evolved over the generations and play a role in the conflict. Let’s examine the role of religion a little more closely because religion is important to the conflict. Religion is central to the identities of both sides and must be respected as a part of any solution, and there are unique qualities of Islam and Judaism that motivate conflict actors. Both religions have apocalyptic elements – although more so for Islam – that are responsible for extreme behaviors and make any sort of permanent peace elusive. 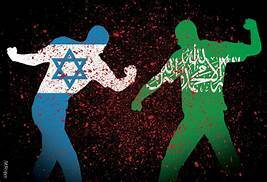 Some orthodox and Zionist extremists have begun to see themselves as defenders of the state along with sanctifying the land such that the presence of any foreign groups is considered a transgression. Clearly aspects of Islam have triumphalist visions that define Israel as an illegitimate state built on Islamic holy land. Both sides talk about liberating the land for religious reasons and this further exacerbates the intensity and significance of the conflict. Manipulative and unsubstantiated religious claims – for example, the Jews want to destroy the al Aqsa mosque and build the third temple on the site – circulate in the population and increase the amount of distorted information and inflamed opinions. And, of course, Jews draw on their own history of vulnerability and fear that Islam wants to annihilate them. Given this attitude that the presence of another religion on what is considered land given to a people by God is a religious transgression, then peace is by definition impossible if it includes any sense of sharing the land or living together. Religion is also used as an answer to social ills. In the Arab world in particular Islam, and especially radical Islam, becomes an answer for political and economic failures. The failing economic conditions encourage more religious-based politics reinforcing blame on the other side. Imagine trying to solve the Israeli-Palestinian conflict and not understanding the religious foundations of the settlers in the West Bank or the status of Jerusalem. The settlers believe they are restoring biblical Israel in preparation for the Messiah, and Jerusalem is the site of many holy places for both Islam and Judaism. These two issues are good examples of how religion is implicated in the conflict. In fact, in the case of settlers and the status of Jerusalem the issue of religion is pretty clear. Culture, religion, and politics share overlapping identities for both the Israelis and the Palestinians. Any one individual might privilege one identity over the other, but all three are present at both the individual and group conflict level. Watching citizens yell at one another during debates and political discussion has reminded me of something more than the loss of civility. It prompts me to recall the distorted communication that occurs so often during political conversation. These distortions in meaning and argument result from the ingroup mentality of belonging to a particular political party. People cling to their own beliefs as driven by reasoned analysis of the real world while the beliefs of others are the result of ideology, emotions, and biases. We easily divide political rivals into simplistic binary categories: red states or blue states, Democrats vs. Republicans, liberals and conservatives. Add to this the combustible mix of bloggers, talk radio hosts, and TV pundits and political discourse becomes hot and hostile rather than deliberative and respectful. Actually, labeling oneself as a member of a preferred group (e.g. “I am a conservative” or “I am a Democrat”) is dangerous and results in information distortions. Party identifications are the result of people categorizing themselves as a member of an ingroup defined by certain characteristics. By categorizing myself as say “a Republican” I adopt characteristics of similar others, and embrace a list of appropriate beliefs and behaviors. I start to speak and behave in ways that I believe are consistent with my membership in this group called “Republicans.” When my group membership is coupled with motivations to enhance my own group’s self esteem, then I will produce favorable judgments and evaluations about my own ingroup, and unfavorable evaluations about outgroups. Thus, as a Republican I would consider myself a patriot and Democrats as socialists. This is a dangerous situation that produces serious errors and failings in political discourse. Let’s examine a few. One thing that happens with strong group identification is that the social norms of that group become overly influential. If I identify as a “Democrat” then I will be more than usually influenced by how I imagine Democrats think and behave despite the merits of an issue. I will be more influenced by party membership than policy. In one research study Democrats and Republicans were given a policy statement and told that the policy was supported by either a majority of Democrats or Republicans. Subjects in the study disproportionately favored a policy when it was identified with their own political party. This means that political judgment is too influenced by group identification and not sufficiently the results of objective consideration and analysis. Secondly, being a member of a political party causes partisans to make biased conclusions. People explain and judge political behavior on the basis of their own political worldviews. Hence, a conservative when confronted with someone from poor economic circumstances will easily attribute this to laziness or lack of ability where a liberal will cite unfavorable social circumstances. Again, the explanations for political events should be based on deep consideration of issues and more complexity (many things explain poor economic circumstances), not simply on consistency with my own group’s ideology. Excessive suspicion and negativity toward politicians is a third bias of political party membership. During the healthcare debate Obama was called a socialist and even likened to Hitler (a strange confluence of political ideologies!). These extreme negative judgments about a politician’s character result when a politician from the other party (the outgroup) presents a position inconsistent with your own group’s position. Under these circumstances there is a tendency to exaggerate differences and attribute personal blame to the other. Finally, political party favoritism has a strong emotional reaction because partisans are so motivated to favor their own group. For Democrats, their strong negative emotional reaction to George W. Bush diminished their ability to arrive at logical conclusions. If Bush was for something, Democrats were against it. The healthcare debate, for example, has to be won on its merits. The above problems can be overcome by increased communicative contact with members of the other party and a widening of goals such that people see themselves more interdependently. Proper political communication is difficult and challenging but given the alternative it is a challenge we must meet. Jerusalem continues its long tradition of political energy, religious intensity, and misunderstanding. Having just returned from a couple of months in Jerusalem (a little work, a little play), my sense of the political history and tensions continues to evolve. For example, I’m increasingly convinced that the contrasting narratives between Israelis and Palestinians – that is, contrasting historical narratives for starters – is so fundamental to the issues that I believe both sides should share the study of history in as intense a manner as possible with the goal of coming to some convergence. It’s easy enough to cite clear contrasting examples of how the reality of history lives in the language of the two sides. Even the simple distinction between Israeli “Independence Day” and the “Nakba” speaks to the incommensurability the two sides struggle with. We saw this today acted out in the dedication ceremony of the American Embassy in Jerusalem. One side is celebrating the life of the state, and dressed as if it were Derby day, and the other side is dying because of it. Let’s try a little history and see where reasoning our way forward gets us. 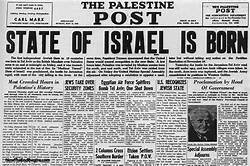 We will try to stay as close to the facts as possible: The United Nations partition plan in 1947 designated Jerusalem and its holy sites as Corpus Separatum. This means it was a separate international entity under the auspices of the United Nations and not under the control of either side. So there is clear recognition that Jerusalem was special and should be the subject of negotiations and agreements between the two sides. After the war of ‘48 East Jerusalem came under Jordanian control. There was no mention of West Jerusalem, but Ben-Gurion declared Jerusalem a fundamental part of Jewish history. The centrality of Jerusalem to the Jewish people is not a difficult argument to make, but this does not deny that other people lived there and were displaced by the war. The Central Bureau of Statistics reports that 62% of Jerusalem a Jewish. But Israel was attacked in 1967 and maintains that war and such attacks disqualify previous agreements such as the agreement to consider Jerusalem Corpus Separatum. This is typically true but modern international law seeks to maintain a strong moral force by refusing to recognize countries that acquire land through violence. This is a point of contention between those who argue that Israel has a right to East Jerusalem and conquered pre-1967 territory. After the 1967 war Israel began building large Jewish neighborhoods on land that had been designated as “occupied” and not legitimately acquired. This is an extension of the point above concerning how property is acquired legitimately during times of political conflict and war. Israel then did two things that have been the source of problems and criticism. Their justification remains a matter of perspective depending on how you believe the land was acquired – legitimately or not. The first thing Israel did was invoke a complex system of citizenship and national identity. This has led to the unfortunate and unjustified apartheid claim, which causes more problems than it solves. The second thing Israel did was remove about 70,000 Palestinians from their homes which again continues to burn deeply into Palestinian consciousness. It has been the chief focal point around claims of “return” in the entire discourse of longing for a lost and cheated land. The Palestinians argue that Israel has violated international law, and the Israelis claim that international law no longer applies. Thus, we have the historical loggerhead. Moving the embassy must satisfy historical differences and maintain the two-state solution. It should be clear that the Embassy in West Jerusalem does not preclude a future Palestinian Embassy in East Jerusalem. 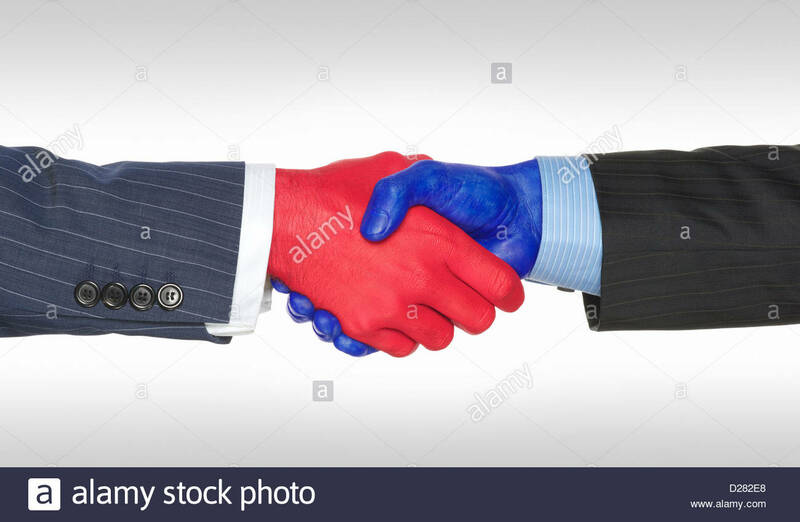 If and when the day comes that these two historic enemies come to terms it is possible for both of them to have capitals in Jerusalem. The coming month of May looks set to contain an unusual number of potential escalation points that could converge to create a highly explosive month. I have been floating the dangerous prediction that violence is going to erupt in the Middle East in some capacity. I think the analysis below makes the case. The Israeli defense establishment is dealing with several pending potential flashpoints, including an Iranian threat to revenge a missile attack on an air base in Syria that was housing several senior Islamic Revolutionary Guard Corps officers; a decision by the Trump administration on whether to cancel or amend the nuclear deal with Iran; weekly Hamas-led mass marches on the Gaza-Israel border on Fridays that continue to escalate; the celebration of Jerusalem Day; the expected move of the U.S. Embassy from Tel Aviv to Jerusalem; and the Palestinian day of mourning over the establishment over Israel’s independence, known as Nakba [“Catastrophe”] Day. Collectively, these incidents have the potential to escalate various fronts at the same time, such as Gaza, eastern Jerusalem and the territories, in addition to Israel’s north, with a Russian, Iranian and even Turkish presence ensconced in Syria.“The month of May does indeed contain within it more than a few challenges that can change the face of the area in a manner that will obligate us to update some our current policies,” Brig. Gen. (Res) Nitzan Nuriel, former director of the Counter-Terrorism Bureau of at the Prime Minister’s office, told JNS. As a result, the defense establishment will need to analyze the potential developments and their scope, and on that basis, prepare options that will remain at Israel’s disposal, he added. “In some of the cases, these are small changes that influence the short term, and in others, the potential is more significant,” said Nuriel. Upcoming elections in Lebanon, he said, “actually create new opportunities.” And the pending decision by U.S. President Donald Trump over Iran “could change the rules of the game in the region,” he added. The Russian air campaign was the decisive factor that allowed an Iranian-led victory on the ground in Syria. Now, the Iranian axis and Russia depend on one another—meaning that Russia cannot accept an all-out Israeli war on Iranian forces and proxies, cautioned Karmon. Tehran, meanwhile, must also factor in the arrival of a more anti-Iranian White House team. All of these factors are part of the buildup to Trump’s “fateful decision” on May 12 regarding the Iranian nuclear deal, as well as “the unpredictable results of his negotiation with the North Korean dictator, which could directly impact Iran,” assessed Karmon. An apparent decision by Russia to provide the Assad regime with its advanced S-300 air-defense system is contributing to the instability, he argued. The transfer of this military hardware risks a confrontation with Israel, he said, although “based on a historical perspective, Israel has always found technological and operational solutions to advanced Russian weapons systems. Meanwhile, Karmon said, several factors are conspiring to make the Palestinian arena more explosive, including Hamas’s weakness in the face of the Palestinian Authority and its growing regional isolation. “This situation could get out of control at some point on the border with Gaza, but not in a manner that could threaten Israel strategically, except in the public diplomacy arena,” he said. However, an escalation of the situation in Gaza could trigger an Iranian move designed to extricate the Iranians from the Israeli challenge in Syria. 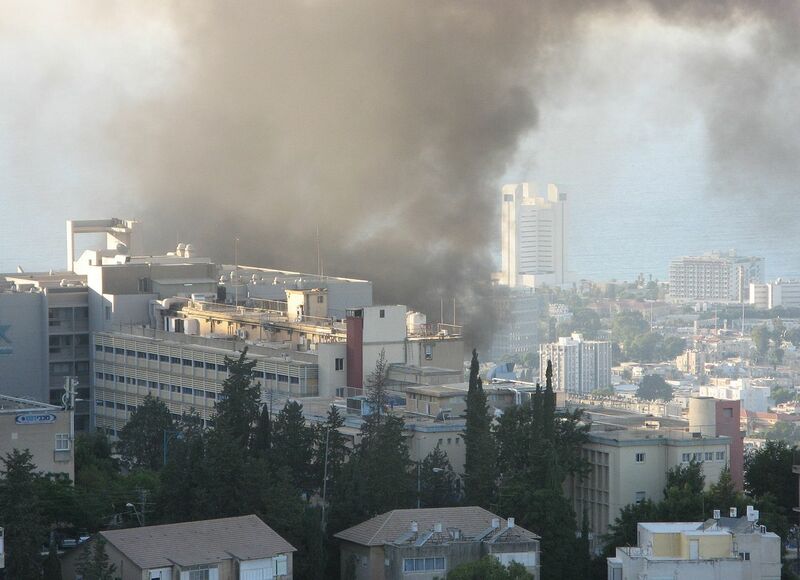 The Israeli-Iranian tensions remain “the most serious trigger for a direct confrontation in the short term,” stated Karmon. 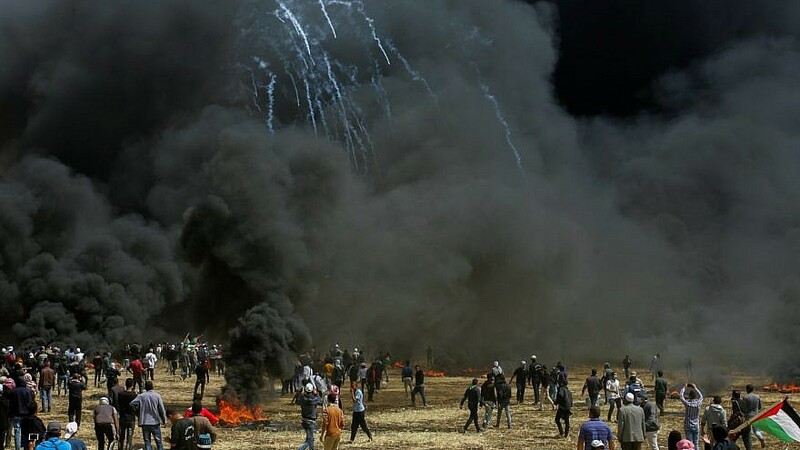 Professor Uzi Rabi, director of the Moshe Dayan Center for Middle Eastern and African Studies at Tel Aviv University, told JNS that he does expect May to be an “intensive month” with some potential for violence, but added that the chances of it leading to a major armed conflict remained low. The reason for this, explained Rabi, is that “no side will emerge with gains from a regional clash or a full-scale war between Iran and Israel. Assad could lose his seat of power; the Russians would not be able to realize their achievements in Syria; Iran is unable to allow itself to get caught up in an adventure that will further destabilize the regime at home; and Israel, too, has no interest in such a war. [I thought the below was a clear statement of U.S. policy interests and Iraq. It is from the Washington Policy Institute. By providing a clear and consistent roadmap for American interests in Iraq and future international support, Washington can help Baghdad steer the country in the right direction after next month’s elections. On May 12, Iraqis go to the polls to choose their next parliament, after which officials will negotiate to appoint a prime minister and form a government. The country has been through an odyssey since its last general election in April 2014. The Islamic State (IS) overran a swath of territory that held more than three million people, twenty-two cities, and numerous oil fields, all of which have been liberated with the aid of militias and international military forces. Oil prices plummeted by half, and only strict austerity measures, foreign aid, and a partial price recovery saved the country from bankruptcy. The northern Kurdistan Regional Government (KRG) approached financial independence and held a referendum on splitting away from Iraq, prompting Baghdad to seize Kirkuk’s oil fields last October. Meanwhile, Saudi Arabia, the United Arab Emirates, and Turkey signaled a new willingness to work with Iraq’s Shia-led government as a means of offsetting Iranian influence. In short, the electorate has suffered huge shocks, and they are now being joined by young voters who cannot even remember the Saddam era. These voters may have stronger ideas about Iraq’s future than the candidates themselves. Although campaigning officially began just this past weekend, the election’s contours are already crystallizing. Prime Minister Haider al-Abadi has achieved more than any reasonable observer might have expected given the horrendous situation he inherited in 2014, and he can point to the fragile economic and military recoveries as reason enough to give him another term. Wary about asking too much of the electorate, he has seemingly submerged his crucial but painful economic reform plans for the time being. Yet he is still hinting at new possibilities for Iraq. In particular, Abadi has called for making the country a neutral space in the region’s evolving clash between pro- and anti-Iranian camps. With encouragement from international actors, he has signaled that he wants to represent all Iraqis, not just Shia Arabs—indeed, his electoral list is the only one competing in every province, including the KRG. If Baghdad can achieve this vision of an independent and stable nation at peace with its own peoples, it would align precisely with U.S. interests. This vision is still achievable, but it is being tested by the aggressive growth of Iranian influence across the Middle East. Tehran’s progress in Iraq has been slowed by the durable fabric of the state and the plurality of citizens who reject Iranian control, but dangerous signs abound. Since 2014, Iranian-controlled militias have nestedwithin the Popular Mobilization Forces (PMF), gaining access to a $1.6 billion annual budget and making themselves a formal part of Iraq’s armed forces. Tehran’s track record in Lebanon, Syria, and Yemen suggests it will try to gain as much influence as it can in Iraq, even if that means riding roughshod over democratic norms, minority rights, and the rule of law. In contrast to Iran’s expansionary aims, the U.S. goal in Iraq is defensive: to prevent Iranian hegemony and give Baghdad enough breathing room to recover its strength. Iraqi leaders—even senior Shia politicians—have told the authors that they value ongoing U.S. involvement because it gives them leverage to counterbalance Tehran’s influence. They are keenly aware that this balance of power would be skewed disastrously if Washington stepped aside. Iraqis have many reasons of their own to resist Iranian influence: after five decades of conflict, they do not want to be drawn into Tehran’s wars like Lebanon has been; Iranian links could constrain their relations with Saudi Arabia and other neighbors, denying them vital investment and trade partnerships; Iran is their natural competitor in the fields of oil, gas, electricity, and petrochemical exports; the dominance of Iranian imports is causing resentment among Iraqi farmers, manufacturers, and traders; and last but not least, the Islamic Republic is a religious competitor with the great Shia seminaries and pilgrimage sites of Najaf and Karbala, where Tehran may seek more influence when Ayatollah Ali al-Sistani passes away. Therefore, Iraqi (and American) strategic interests would be best served if the country is analogous to Finland in the Cold War, maintaining some degree of autonomy from Tehran as well as Washington. No foreign country has any business trying to pick a winner in Iraq’s elections, and any direct intervention in the subsequent coalition-building process is liable to backfire. Instead, the best approach for the United States and its allies is to clearly frame the value proposition on offer if Iraqi politicians move toward inclusive government, smart security policies, economic reform, and regional neutrality. These are the very issues that Iraqis themselves have overwhelmingly supported in reputable polls. The offer framed by Washington—and, ideally, other coalition partners—should be a package deal of security and non-security support, contingent on a friendly Iraqi government that is willing to address these issues. One important element of that offer is a U.S. military training presence over the next few years, both for security purposes against a potential IS resurgence and as a political symbol. Even in the nationalistic afterglow of “defeating” IS, much of the Iraqi body politic recognizes how valuable U.S.-led international security cooperation has been. The removal of American troops in 2011 coincided with the regrowth of IS, while U.S.-led forces have been involved in almost all of Iraq’s victories since 2014. No single action could better confirm Baghdad’s relationship with Washington and its openness to Arab neighbors and Turkey than allowing coalition forces to remain. Ensuring that combat operations are conducted “by, with, and through” the Iraqi security forces. Avoiding unauthorized U.S. bases or unilateral operations. Forging a coalition with as broad a range of international partners as possible. Keeping the mission’s size and activities adaptable according to Iraq’s requirements. Accepting that existing Iraqi legal authorities are sufficient to continue a troop presence. In addition, Washington should privately link security cooperation to broader implementation of the 2008 Strategic Framework Agreement, which transcends military relations and forms the basis for bilateral economic, political, and energy cooperation. U.S. officials need to remind Baghdad of the benefits that come with being a friend of America, including: help with obtaining IMF and World Bank assistance; mobilization of the international donor community, as seen this February when Kuwait hosted the International Conference for Reconstruction of Iraq; diplomatic support for engagement with countries like Saudi Arabia; technical and program-management support for critical infrastructure and economic projects, not least the Mosul Dam rehabilitation; and the host of ad hoc advantages that materialize when leaders have access to the “good offices” of the United States. Finally, Washington should work with Turkey on a joint approach to the KRG, mainly as insurance if efforts to preserve Iraq’s relative neutrality fail. Such cooperation on Kurdish defense, energy, and diplomatic affairs would signal that the United States has choices if Iran ever gains the upper hand in Baghdad. To keep this option open, Washington needs to continue acting as a fair broker between the central government and Erbil on revenue sharing, disputed areas, and security cooperation. On the latter issue, an ongoing U.S. and coalition military presence in Iraq and the KRG may reassure the Kurds that Washington has a strong stake in preventing future conflict between them and Baghdad. I feel pretty strongly about gun control. And I take a purely statistical position meaning that the more guns that are available the more they will be accessible and therefore used. Consequently, the primary solution to the problem of gun violence is to have fewer guns available and this can only be accomplished through control and a legal system that makes it difficult to acquire a weapon. One counter response to this argument is to ask, “what about Israel? Guns seem to be a natural part of everyday life in Israel but they don’t have the problems we have.” School shootings, which are so prevalent in the United States, are almost unheard of in Israel. The comparison to Israel is a good one and I get asked about it often. Guns are simply naturalized in Israel: Citizen-soldiers are ever present carrying their M-16. Guards with side arms are performing security functions at movie theaters, train stations, malls, and government buildings. The killing of 22 school children in 1974 at an elementary school in Ma’alot is not comparable because it was done within the context of a political conflict and the result of a series of mistakes and panic reactions. These are quite different from the “lone wolf psycho killer” who fires randomly. So, you might say that the differences are cultural and you would be mostly correct except other issues are pertinent. 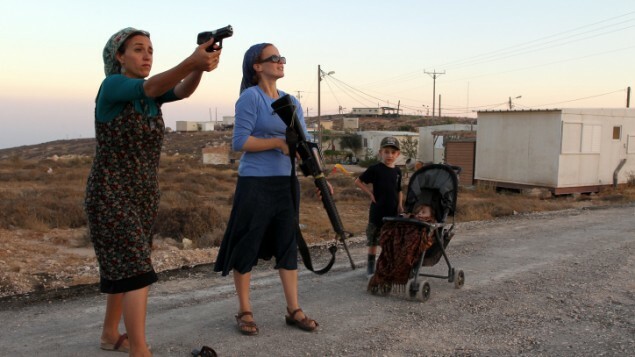 Gun deaths in Israel in 2009 were 1.8 per 100,000 people. In the US it is six times that figure. So it’s easy enough to see how gun rights advocates could encourage others to look at Israel and point out how there is very little or no correlation between the presence of guns and the likelihood of their use. If it is a cultural difference that separates the US and Israel what are those differences and what can we learn from them? The first is the distinction between a right and privilege. Gun rights advocates in the United States maintain that it is constitutionally and even religiously guaranteed that you have a right to protect yourself and bear arms. The Second Amendment has been enshrined as protecting and guaranteeing the right to have individual firearms. Israel does not recognize such a right so even though military weapons are common citizen ownership of weapons is controlled and relatively uncommon. Many people do not understand that Israel controls weapon ownership strictly and makes it more difficult to acquire a firearm. The Israeli culture is, in fact, more consistent with those who oppose gun rights in the United States and want additional regulation. In order for a citizen to own a gun in Israel they must be 27 years old if they did not serve in the military. They need to pass a check that involves health, clean criminal record, and regular training. Gun owners are limited to how many bullets they can acquire, and they need to provide proof that they actually need a weapon. The “fun” of firing and target practice is not a sufficient explanation. According to Yakov Amit, head of the Firearms Licensing Department, as reported in the Jerusalem Post Magazine (March 23, 2018) 80% of those who apply for gun licenses are turned down. In the United States weapons are a commodity associated with macho performance stances and personal identity. Guns in the United States have lost their sole pragmatic function and are no longer a “tool” for self-defense but a “toy” to play with. Israel does not fit the image of the right wing gun advocate. The US should learn something from them anyway. Of course, gun violence will never be completely eliminated and some differences between cultures are impossible to close up. Still, Israel has much stricter regulations that all seem to be directed toward managing the possibilities for violence and are more rationally directed toward sensible control. Israel does not have a problem with guns in comparison to the United States because Israel does not fetishize a historical principle (the Second Amendment) in such a manner as to protect an abstraction rather than the actuality of a community. Well, it might not be the biggest issue because there are so many in Israel but it is certainly a leading contender and currently capturing regular headlines. 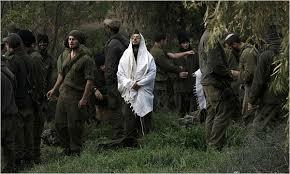 And that is the matter of yeshiva students or Torah scholars serving in the military. Israel, of course, has a high need for security and the burden of maintaining that security should be a community value. But the study of Torah is also central to Judaism and thought by many to be part of the process of bringing about the coming of the Messiah. Religious leaders argue that these Torah scholars should be exempt from military service. During the beginning of the state David Ben-Gurion came to an agreement with religious leaders that a specified number of yeshiva students would be exempt from military service, but since then that number has been growing. These exemptions arouse tremendous resentment especially in secular society. The strongest and most emotionally compelling charge is that secular and non-Orthodox young men and women go off and fight and die protecting the lives and rights of yeshiva students who don’t serve. There are strong and defensible positions on both sides: cases can be made on the basis of authoritative texts for both compelling military service and being exempt from it. A good review of the issues appears here. Thousands of ultra-Orthodox students avoiding the military – sometimes on the basis of pretty thin claims for Torah scholarship – is simply unfair and can be justified on religious grounds. There are four main arguments for why yeshiva students should serve in the military. There is a commandment to study Torah called Bilul Torah and the argument is military service will detract from such study. But there are other commandments and performing one does not take automatic precedence over the other. Protecting the land of Israel is also a commandment and military service would be supportive of such a commandment. There remains the question of how much Torah study constitutes a sufficient amount. It is probably possible to both serve in the military, just like working at any job, and still study Torah even though this is not the definition of “full-time” Torah study. A second argument is that Torah students are special in that they are separate from the empirical world and are set aside to serve God. For yeshiva students their full-time occupation is the service of God and the study of Torah. Once again, a commitment to studying Torah does not remove all secular obligations. Concluding that yeshiva students live separately in a special relationship with God confers saintliness on them, which is quite contrary to Torah scholar identity. Another claim is that yeshiva students are in constant training to protect the spiritual world and not protection of the physical world. But Torah scholars are still obligated to take part in protection of the community. This means service in the military because they do not have the right to demand that others protect them. A final argument is much more practical in that the Orthodox community points to the incompatibilities between their life and the military. Problems with keeping kosher, separation of men and women, religious obligations, and interpersonal relations all pose almost insurmountable difficulties. But the military already has experience in meeting the individual needs of certain groups. Although there will be certain challenges the more orthodox Torah students enter the military the more the military will adjust and adapt to their needs. The answer to this problem is not clear-cut. As of now it looks like the conscription bill will pass and more religious students will enter the military. The secular-religious divide is one of the widest in Israel and it is clearly exacerbated by military exemptions for Torah students. I think it’s important that these religious students do not stand on the sidelines while Israel struggles with issues of defense and security. It is already the case that their alienation from political society produces difficult conflicts. Military service is the most potent route to the type of integration necessary to close up this divide. Are There War Clouds Over Israel? I smell war in Israel. I’ve had the feeling for some time that Hezbollah will flex its muscles and even try to provoke Israel and Iran, although they will not succeed. I arrived in Israel a few days ago and after reading more of the local news I had my suspicions confirmed. The Jewish News Service reports that the Israeli Defense Forces are drawing up plans for an offensive attack on Hezbollah. But equally as interesting, the IDF is also working on defensive strategies. 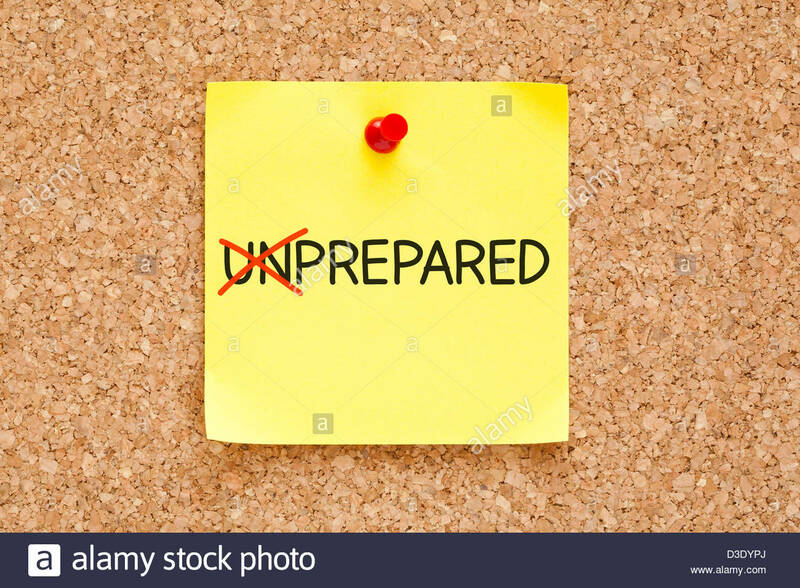 The population is being as prepared as possible realizing it’s always impossible to prepare perfectly. This is especially true because Hezbollah is not the same organization it was in 2006 during the second Lebanon war. At that time Hezbollah fired about 6, 000 rockets into Israel and none of them struck anything of significance and could not even travel the distance of the country. Those days are over! Hezbollah can now fire with greater accuracy and reach any space in Israel. This means that sensitive and important targets along with more people will be struck. The death toll will be higher and the damage to the infrastructure greater. This will escalate the consequences. As more Israelis are hurt and more damage is done to the country Israel will, as is expected, retaliate even stronger thus exacerbating the whole problem. Hezbollah is an Iranian proxy group and they have gained experience by fighting with the Syrians. They are better prepared for different military situations including training in infiltration. Israel has ratcheted up its preparation by training volunteers, first responders, and those responsible for providing information. New technology including smart phones, alerts, and computers are all being integrated into Israel’s defensive positions. Local authorities such as police and administrators will have more authority and be responsible for directing community responses. All out war between Israel and Iran is unlikely. It’s too dangerous. This is one advantage of a form of mutual assured destruction; it causes both sides to become more conservative and cautionary. Iran sees itself as a leader among the Shia and spends billions of dollars, which it can little afford, supporting Hezbollah, Lebanese Shiite militia, and Shiite regimes in Iraq and Syria. A war with Israel would just be too costly especially under the pressure of sanctions. A war between Iran and Israel would very quickly include the United States. The United States of course would support Israel thereby increasing pressures on Iran. Russia maintains relationships with both Iran and Israel and stands to lose important economic relationships. Russia has increasingly friendly relationship with Israel and would not easily take the side of Iran–a religious extremist country. No one wants to see Iran consolidate power. The complexity of these political arrangements is actually an advantage because there are so many different types of relationships and path dependencies that some route can always be blocked. Let’s hope it’s the most violent route that cannot find its way to its endpoint. Comments Off on Are There War Clouds Over Israel?